McCap currently has openings for new participants! McCap is currently opened Monday, Wednesday and Thursdays with the possibility of future Tuesdays. Please contact us if interested. McCAP is a 501(c)3 non-profit organization that serves adults with severe and profound disabilities. With a 3:1 student to staff ratio, each participant is encouraged and supported to reach their full potential and improve the quality of life. The day program provides academic, social and vocational activities focusing on improving their daily living skills and independence. 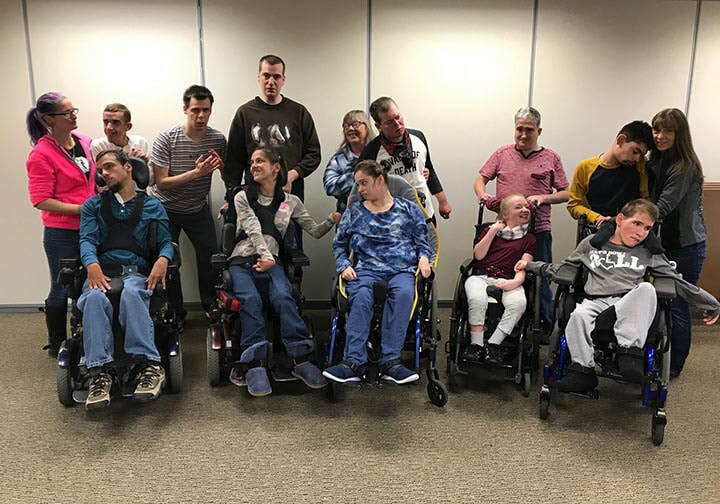 McCap was founded in 2001 by a group of parents concerned with the lack of adult programs for their recently graduated children with mental and physical challenges. It began and started as a summer program in 2002, then developed into a permanent year-round endeavor. McCap is a parent run organization and does not receive any local, state, or federal funds. Our program is funded through tuition, donations, grants and fundraising efforts. To become an established full-time therapeutic day program to provide adequate services for these special individuals. McCAP is hoping to incorporate physical, occupational and speech therapeutic services for members. Your contribution will help to ensure the continued success of our program. Thank you to everyone who has contributed and supported our organization. Your help is greatly appreciated!